Scientists have announced that they have discovered a whole new underwater world at a totally uncommon place. An Oxford university lead mission that funded by the British charity of ocean exploration Nekton is the XL catlin Deep Ocean Survey mission had made an astonishing finding in recent days. According to their publication, the Nekton mission had found the existence of more than 100 unknown marine species in the Twilight Zone of the Bermuda waters of North Atlantic ocean. 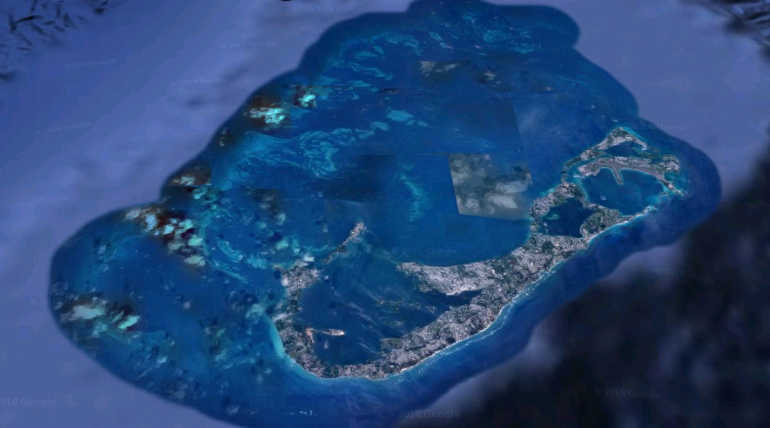 Alex Rogers, the director of this mission said that with a decade-long collection of data about the Bermuda platform had not even made them expect these like findings. He said there is still a lot to go with the twilight zone in the near future. The scientists had found more than a dozen of new algae species and crustacean species like tanaids, isopods, and gnathiid that looking like a new world under the surface of the water that had been kept hidden for all these years. The Twilight Zone of the Bermuda platform is consideringly known for its hidden mountains and coral reefs off the coast of Bermuda. The Nekton exploration the outcome effort of the Oxford University in the Bermuda region to study the chemical, physical and the biological character of the deep Atlantic Ocean. Alex Roger said, far now the exploration team had analyzed nearly 40,000 species and water samples that more than 4,000 gallons. It seems the twilight zone have too many things to show up where the university already holds the records of decade-long sea exploration data of Bermuda Platform. Now the discovery is considered to be worthier than the previous researchers as it defines the existence of new ocean zone in a confined area North Atlantic Ocean.